When searching for commercial flooring, wood offers several benefits. From durability and hardness to style and an elevated value, there’s little doubt about choosing hardwood for commercial floors. But what happens when commercial wood flooring is damaged due to stains? This is an issue all wood flooring owners face, but on the commercial scale, staining can be a catastrophe. Discover ways to remove stains from commercial wood flooring that are not going to damage the flooring. In a commercial space, you have exponentially more opportunities for spills and messes on flooring. This is a result of the increased foot traffic that you get in commercial settings. When dealing with high traffic spaces you are going to see even more issues with staining due to spills and accidents. Take this up a notch when dealing with restaurants, bars and other venues serving food and beverages. Accidents happen, and in commercial spaces, they must be taken care of as soon as possible. Otherwise, you are looking at a safety hazard, as well as a sizable disaster to hardwood flooring. Stains on hardwood due to foods, beverages or blood must be removed using proper procedures in order to ensure that the hardwood is not damaged. These items, however, are often the most damaging due to the absorbency of wood. While you can wipe up spilled red wine from a linoleum floor, this isn’t as simple with wood. Yet wood flooring offers durability and look that is achieved by nothing else. Rather than choosing a less than superb option for commercial flooring use these tips for expert wood stain removal. The first thing to do is work on the stain removal process immediately. The faster you can remove a stain, the easier it will be. After a stain has dried it is more likely to set into the wood grain, which can make it far more difficult to remove the stain without sanding down the flooring. Depending on the stain that you are dealing with, you’ll need to choose the proper cleaning agent. Also, if you have a proper sealant protecting the hardwood flooring this helps tremendously to prevent stains from setting. Which cleaning solutions should you use? Water can be used to remove fruit, pen or printer ink, or blood as long as the stain is not set. White vinegar can be used for removing red wine stains. Stains that have set, such as iodine or blood, can be removed using ammonia. For dye stains use chlorine bleach. Use mineral spirits or laundry detergent to remove paint stains. Note that you should never mix cleaning agents to clean stains. This is particularly dangerous when working with bleach and ammonia as these two combined give off toxic fumes. When using these stain busters use a damp cotton cloth that will not soak the flooring. Also work exclusively on the stained area. Avoid using chemicals, such as chlorine bleach, on unstained flooring as it could damage the surface. The goal is to wipe the soiled area in hopes to remove any of the offending material. Once you have cleaned the area of flooring dry it completely using a dry cotton towel. Do not leave water or other liquid to sit on the stain as this will cause irreparable water damage to the flooring. For more extensive staining you’ll need to take more drastic measures. One tip is to use prolonged moisture as a way to open up the wood grain to remove stains that have set. To do this wet a cotton towel using the cleaner listed previously, i.e. ammonia or white vinegar. Wring the towel out so that it is lightly moist. Lay the towel over the surface of the stained wood floor. Let it sit for a day or two. The idea is this will allow the wood to expand so that the cleaning agent can get into the stained area. Keep in mind this will not work on wood that has been stained. If your hardwood flooring has been stained professionally, in addition to being stained by coffee, wine, blood, etc., then you will need to bypass all of the previous stain removal solutions. No amount of cleaner will work against stained flooring. This has to do with the process of staining, which treats the wood’s surface and makes it less porous. 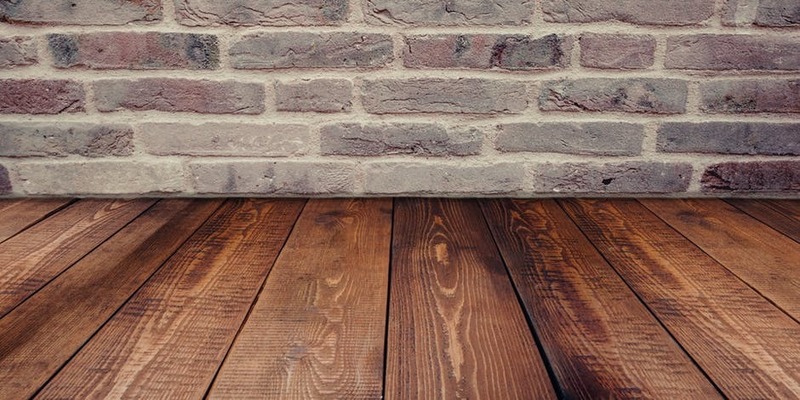 So what are your options for removing wood stains from stained wood flooring? Rub the stained area using No. 000 steel wool along with a reliable brand of floor wax. This is useful for removing pet stains or dark spots, such as blood, coffee or wine. Water marks, such as those from drinking glasses, can also be removed using No. 000 steel wool coated with floor wax. For deeper white stains use a fine grain sandpaper to sand away the surface. Follow up with the No. 000 steel wool and mineral spirits to get at the base of the stain. For super stubborn dark stains use bleach or white vinegar directly to the stain. Let it sit undisturbed on the stain for no longer than an hour. Wipe away and repeat if the stain is only slightly removed. Oil stains, such as with greasy foods, can be removed once you break down the grease. To do so use liquid dishwashing liquid applied to the grease. Rub using a slightly damp, warm cloth to remove the grease. Wipe away the soap using a clean, wet cloth until the soap is removed. Continue with this process until the oily substance is gone completely. To remove any remaining staining from the oil sand with a fine grain sandpaper. Animal or pet stains happen in public spaces that allow for pets. Remove pet stains on wood flooring with hydrogen peroxide placed directly on the stained area. Check the stain every 15 minutes to see if it has been remedied. If the stain is large, consider using a towel moistened with hydrogen peroxide. Spread the towel over the stain. Sit overnight. Remove the towel and dry accordingly. If the stain has penetrated deeper into the wood, sanding is the next step. Having hardwood flooring in a commercial space, such as a retail store, restaurant, hospital or museum, adds value and a luxurious look to the environment. The flooring you select could even be considered as a fifth wall, if chosen correctly. However, as a commercial space involves people there is always the chance that the wood flooring may be stained. 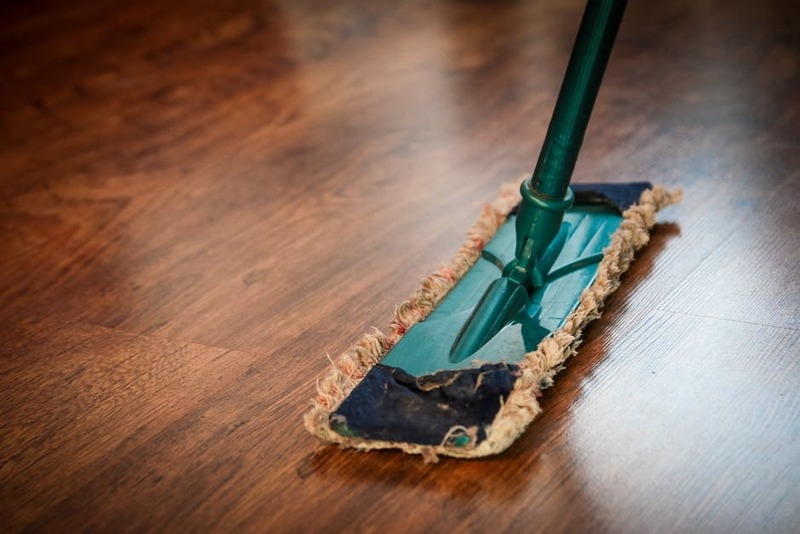 By having a stain removal guide to assist you, you can rest assured that your commercial wood floors will remain in pristine condition for decades, if not centuries, to come. One option you have of overcoming the issue of stained hardwood flooring in commercial spaces is to use well-protected materials. Take the acrylic infused hardwood that is made exclusively by Nydree Flooring of Forest, VA. This flooring features a more than 4,000 Taber score, which indicates its ability to resist wear. It is also 3 times more durable than standard wood flooring, while featuring stellar scratch resistance. As for stains these are no match for the toughness guarantee that backs every board sold by Nydree Flooring.